A top level probe into where the pension payments of NHS and other public sector workers, employed by Carillion, have ‘disappeared to’ was called for today (February 22). Unite said mystery surrounded the fate of the pensions’ contributions of thousands of workers who were employed on public sector contracts when Carillion collapsed last month. It is understood that Carillion workers last paid their pension contributions in December, but the money had not been received by the statutory pension schemes, and nor had the employer’s contributions. It is also unclear exactly when the company last paid contributions into the required schemes for its workforce. 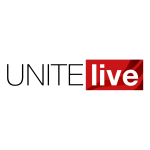 Unite, with 100,000 members in the health service and members in other potentially affected sectors including the prison service, the Ministry of Defence and local government, said that queries about the contributions had been meet with a brick wall by the Insolvency Service and the special managers who have been appointed to deal with Carillion’s liquidation. “This is a matter of serious concern,” said Unite national officer for health Colenzo Jarrett-Thorpe. “Workers make contributions towards their retirement and have every right to expect that those contributions go to the rightful pension schemes. “We need to know what has happened to these payments, possibly involving more than a million pounds,” he added. “At present, they appear to have mysteriously disappeared into the financial abyss. “Money has been taken from workers’ wages for their retirement and that money appears to have disappeared into the ether. “Efforts by Unite to discover what has happened from the Insolvency Service has hit a brick wall – that’s why we are calling on the two select committees to redouble their efforts to get to the bottom of the financial debacle that was Carillion.